We’re pleased to announce the second release from the Bruce Springsteen Archive Series. Deep into the Darkness on The Edge of Town Tour, the E Street Band took the stage at Cleveland’s Agora Theatre and Ballroom on August 9, 1978, where the entire show was simulcast on local station WMMS and many other stations around the country to an estimated audience of 3 million listeners. 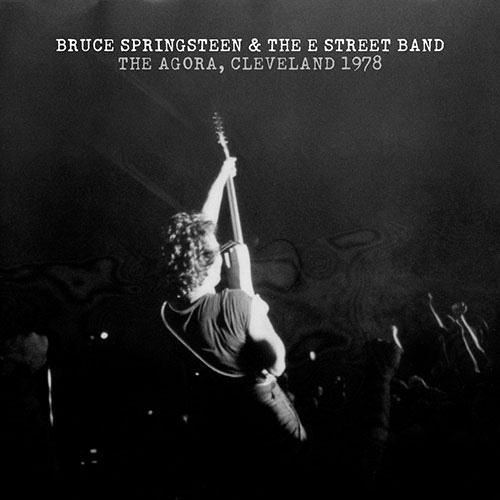 For years bootleg copies of the FM broadcast, in various degrees of quality, widely circulated among collectors and established The Agora ’78 as a legendary performance from Darkness-era Springsteen . Not until now, however, has the pristine live stereo mix been heard. Seven 1/4 inch reels were unearthed in the Thrill Hill Archives and transferred via the Plangent Process, the same method used on the recent Album Collection Vol. 1 remastering project. The entire show is now available in High Definition 24 bit / 192 kHz audio, as well as on a 3 CD set and MP3 and CD-Quality downloads.